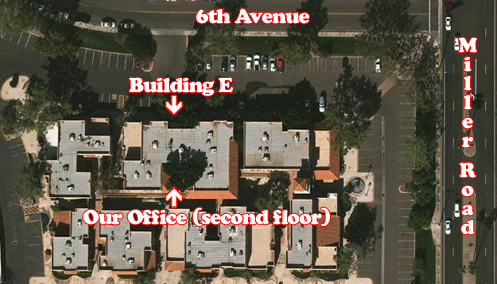 We are located on Miller Road north of Indian School and south of Camelback Road on 6th Avenue in Scottsdale, Arizona. 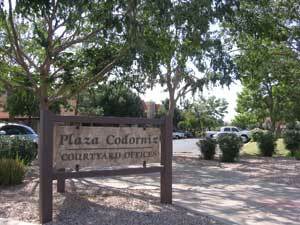 Plaza Codorniz is a group of two story Spanish style buildings on the west side of Miller Road. Our building "E" is at the northwest area of the complex. There are stairs or a centrally located elevator to the second floor. Free off street surface parking is located around the building complex. If you have any difficulties locating us, please call our office at 480-699-3860 and our staff will be happy to assist you. * Dr. Lawrence Martin is a psychiatrist in Scottsdale, Arizona who provides psychiatric care to patients in the Phoenix Metropolitan area.